This year’s art festival is September 17. Deadline to enter is August 31. 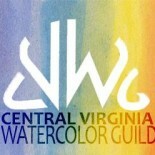 They usually have about 140 artists participate from across VA. This entry was posted on Aug 8, 2016 by miatomaine in Art News, Call for Entries, Local Events.